First ImpressionsHow do managing partners manage their social media? 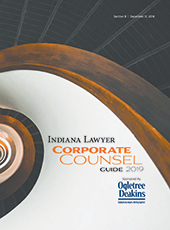 Indiana Lawyer's 2019 Corporate Counsel Guide provides snapshot information about lawyers providing in-house legal counsel to Indiana's business community. 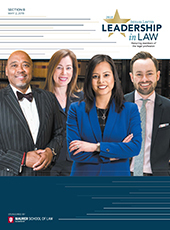 Each year, Indiana Lawyer honors Distinguished Barristers and Up and Coming lawyers in the state's legal community. Meet those recognized for their work in the law and service to the community.